Rockwood Area El School Elementary School / Public 8 0.2 mi. Rockwood Area Junior-Senior High School Middle School, High School / Public 7 0.3 mi. Maple Ridge El School * Elementary School / Public N/A 6.83 mi. Meadowbrook Amish Parochial School * Elementary School, Middle School / Private N/A 6.7 mi. Summit Mills Parochial School * Elementary School, Middle School, High School / Private N/A 6.78 mi. 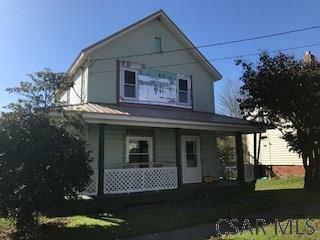 450 W Broadway Street, Rockwood, PA 15557 is a 2 bedroom, 1 bath single family home was sold for $70,000 by Patricia Chapple in the Somerset real estate office.